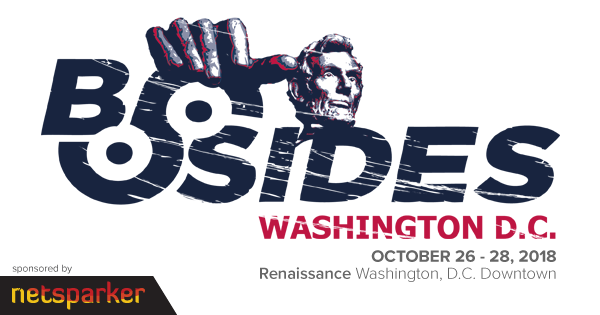 We are excited to announce our sponsorship of the B-Sides DC 2018 Conference in Washington, D.C, which takes place from October 26th until the 28th. During the conference we will exhibit Netsparker, our market leading web application security scanner. B-Sides DC is a community-driven event developed by and for information security practitioners who seek to expand the spectrum of conversations and create opportunities, in an intimate atmosphere that encourages collaboration. The venue for B-Sides DC is the Renaissance Washington DC Downtown Hotel. For more information, visit the B-Sides DC website where you can find out more about the event and how to support it. If you are attending B-Sides DC, then come and visit us at our booth. We will be more than happy to answer any questions you might have about web application vulnerability scanning and Netsparker.